When creating a scene, I like playing around with different poses for my main figure(s). I do this by assigning the different poses across different timeline frames. In this way, I can quickly and easily go through all of poses, and pick the one that I like best. However, this means I also end up with a Daz Studio scene file that has many unfinished and unused frames. This clutters up the scene file, and makes it more difficult to share and understand. What I really want, is a simple procedure for saving out the one frame that I used in my final scene. This tutorial explains how to do that. Catwoman image below uses Have a Seat Poses and Prop. Go to the frame we want to save. Click on the Scene tab. 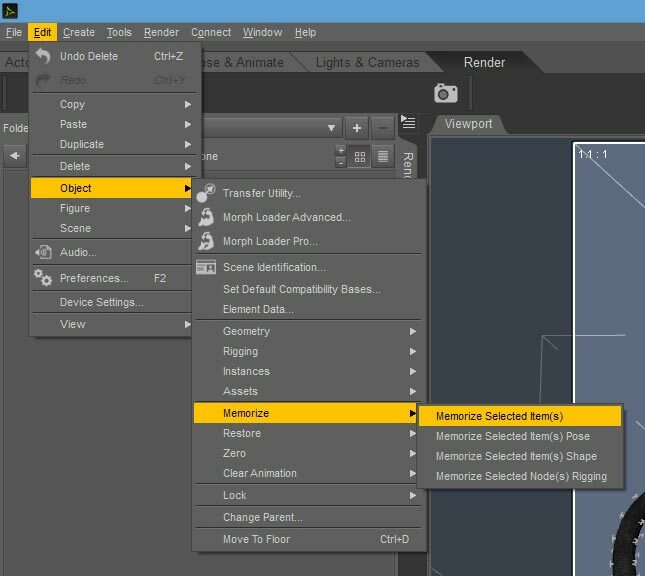 Do Ctrl-A to select all objects in our scene. Right-click on our selection, and pick Select > Select Children from the menu. This selects everything in our scene. Select all objects in our scene, including all child objects. After we do this, our main scene should look something like this. There are many rectangles in there, indicating that there are many selected objects. 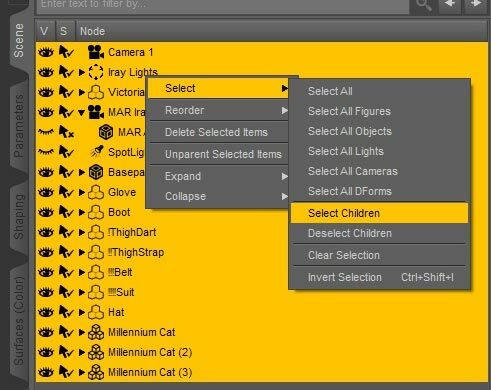 Daz Studio interface scene after selecting all main and child objects. To copy this frame, select Edit > Object > Memorize > Memorize Selected Item(s). 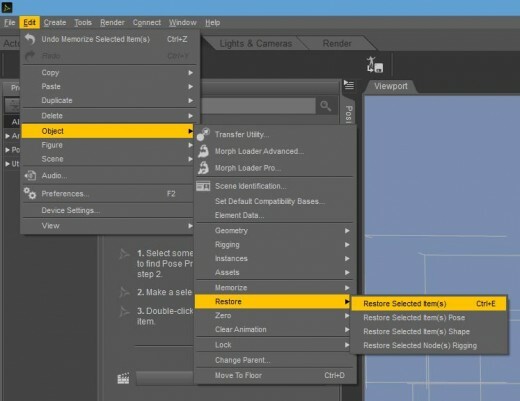 To copy our save-frame, select Edit > Object > Memorize > Memorize Selected Item(s). Select Edit > Object > Restore > Restore Selected Item(s) to paste our saved frame into frame 0. After we do this, frame 0 should be an exact duplicate of our chosen frame (i.e. the frame we want to save). Set the Total Frames to 1. When we do this, only Frame 0 will be available. Go to the Pose tab. Go to the Timeline view. Set the Total Frames to 1. When we do this, only Frame 0 will be available (see figure). Reopen it in Daz Studio, and there should only be a single frame. In this tutorial, I talk about how I combine poses in Daz Studio. It is quite simple to do, and I was able to start generating interesting fantasy art with it, even as a Daz Studio beginner. I am really loving the results that I am getting from Daz Studio Iray. Here, I talk about some of the useful Iray techniques that I have learned from the Daz3D forums, from talking to other Dazaholics, and from my own Iray experiments. I can always rely on your tutorials to answer the questions I have with Daz Studio. Thank you so much! Wow thanks a lot! But i wonder now, I’m using dForce to simulate clothes on fight scenes, I used the tutorial here and I let the clothes drape a couple frames more, is there a way to save the current frame of a dForce simulated animation? For that, you will need to save the object as a morph. I think Sickleyield has a tutorial on that – Morph Loader Pro. THANK YOU SO MUCH FOR THIS!! 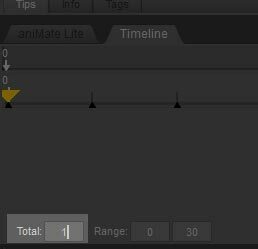 I’ve been fighting with DAZ for a week trying to figure out how to delete animation frames in my project, and this works perfectly! 🙂 🙂 You rock!